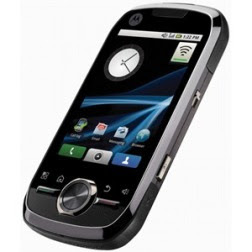 Motorola i1 is a new handset powered Android. The smartphone has solid body construction and a number of features that allow it to resist in tough conditions. The phone was built to resist against dust, shock, vibration and blowing rain. The smartphone also boast a list of business and entertainment features, including Scan2PDF Mobile 2.0, Unit Converter, ConvertPad, RealCalc Scientific Calculator, Facebook and Twitter. You will also find a 5 megapixel camera with LED flash. Swype, Opera Mini 5 and Touiteur pre-installed.